An unknown gunman short dead Sheikh Rogo, a Muslim cleric who was been able to stir emotions on either side of the divide. Riots followed his shooting in Kenya’s second city, the port town of Mombasa. The Africanists looks into his death and the resulting riots. “Why die shamelessly of crime whilst you can join Al-Shabaab get paid and die fighting for religion, your family also gets their cut when you have been buried?” That is the main line of questioning by the recruiting agents of Al Shabaab in Da hood. Kenya has a large population of Youth who are idle and unemployed; this has given room for extremist organizations to bloom. Al-Shabaab is the most beneficial using religion and money to entice recruits. Al-Shabaab has been on a recruiting spree in Kenya especially targeting disgruntled and hopeless youth in underprivileged and informal settlements especially in Nairobi, Garissa and Mombasa. 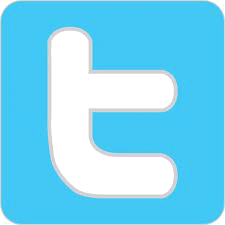 Their sympathizers, who are also being blamed for the ongoing chaos, have been growing by numbers. The skirmishes started spontaneously but later on took a more dangerous and seemingly organized manner when the grenade was hurled at the Police lorry. Grenade attacks have been synonymous with Al-Shabaab terrorist attacks in Kenya. After two day of rioting the tension was still very high despite Kenya Police assurances that they have the situation under control. Suspicion is high between neighbours and there’s an informal curfew at night. A man, whose hardware shop was looted and burnt, had to solicit close friends to keep vigil at his other businesses. Kenya has witnessed a couple of ethnic violence including deadly the 2007/08 post-election chaos but sectarian violence has been minimal and minor. Just recently, two Churches were attacked and worshippers killed in the predominantly Muslim North-Eastern Province that borders Somalia. Muslims faithful’s volunteered and offered security to Churches in the area for the next couple of weeks. Sheikh Rogo who was recognized by the United Nations and the US as Al-Shabaab’s chief agent in Kenya was shot near Bamburi on the Mombasa-Malindi highway as he drove his wife to hospital. Rioters in Mombasa said they suspect the Kenyan police of killing the fiery preacher Aboud Rogo Mohammed. The Kenya Police however says Kenyan supporters of the Somali terror group Al Shabaab were behind the violence that broke out Monday, August 27. Kenya has a long history of extrajudicial killings, from the murder of the politicians Tom Mboya and J.M. Kariuki under the first President Jomo Kenyatta to the killings of supporters of the Mungiki sect in recent years. Many residents of Nairobi have seen how alleged criminals were executed during their arrest. The UN Special Rapporteur Philip Alston said a few years ago the Kenyan police “are out of control”. After the attack on the U.S. embassy in 1998 and at a tourist hotel north of Mombasa in 2002, the Muslim population of the coast feels under collective suspicion. Both Kenyan and American agents of the secret services arrested and interrogated suspects. Following the 2006 takeover of Somalia by Islamic radicals the security focus on the coast was intensified. The Muslims started thinking to be in bad books in Kenya. Since 2007, according to a report by Human Rights Watch, ninety suspected of ties to Islamic radicals in the region were secretly abducted and extradited to Ethiopia, where they were interrogated by Ethiopian and U.S. agents. Some of them, such as the Kenyan Muhammad Abdul Malik, only reappeared at Guantanamo Bay, the U.S. detention centre in Cuba. Like the Americans the Kenyan police do things according to their own rules. Since early this year at least four Kenyan suspects linked to Al Shabaab have “disappeared“. Terror suspects Samir Hashim Kahn and Kassim Mohamed Bekhit were kidnapped in Mombasa when they were taken out of a matatu (public transport). The body of Kahn was found in April this year in the game park Tsavo, Kassim is still missing. Kahn, Kassim and the now murdered Rogo had cases going on against them in the Kenyan courts for alleged links with terrorists. 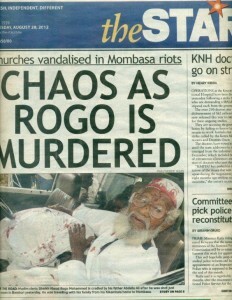 Rogo was previously associated with the attacks in 1998 and 2002, but due to lack of evidence was never convicted. Two other suspects, Sylvester Opiyo and Yaqub Musyoka, had to report in May to the police in Molo to provide information on “activities of Al Shabaab in Kenya”. They were never seen again. It seems a long established trend. When the police a few years back fought against the sometimes murderous Mungiki adherents, an estimated 300 members of the sect “disappeared”. Some bodies were found just outside Nairobi in the Ngong hills, over the years a traditional dumping ground for Kenyan opponents.